Dr. Virginia Beaton FNP-BC, is a board certified doctoral prepared nurse practitioner. Her under-graduate training was at Columbia-Presbyterian Medical Center in New York City. She has 2 masters degrees in family nursing practice from New York University and Long Island University with a PhD in primary care. She has advanced training past her post-doctoral work in esthetic medical procedures from the Esthetic Skin Institute in Fort Lauderdale, Florida and continues to attend advanced classes to stay on the cutting edge of her field. Dr. Beaton practices esthetic medicine and anti-aging procedures. 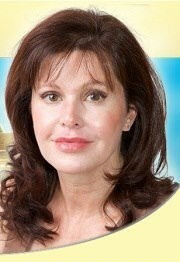 Her expertise is sculpting the face with multiple modalities and technologies. The office has the latest technology in laser treatments and she performs regenerative techniques with platelet rich plasma. Her passion lies within improving the overall health and wellness of her clients through bio-identical hormone restoration and balance. Currently she maintains a practice of creating beautiful faces, balancing hormones and maintaining her patients’ overall health both inside and out.